Specialists in Insolvency Litigation, Director Disqualification, Commercial Litigation and Insolvency and Restructuring. Neil Davies & Partners, Solicitors (‘NDP’) is a specialist niche Law Firm focusing on six main areas of law: Director Disqualification, Insolvency Litigation, Insolvency & Restructuring, Commercial Litigation, Regulatory Disputes and Construction Disputes. 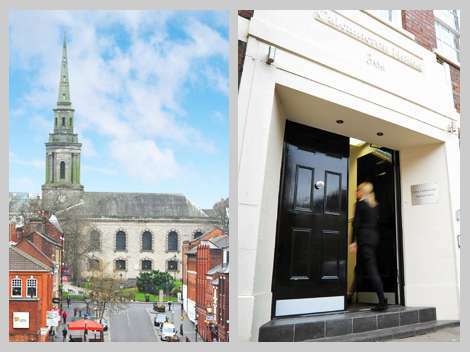 We have been shortlisted for the Birmingham Law Society’s prestigious Law Firm of the Year Award for 2019 (up to 5 partners). This is our 4th short-listing, all in a row, for the same award, having been the winners in 2016; an achievement we are really proud of. 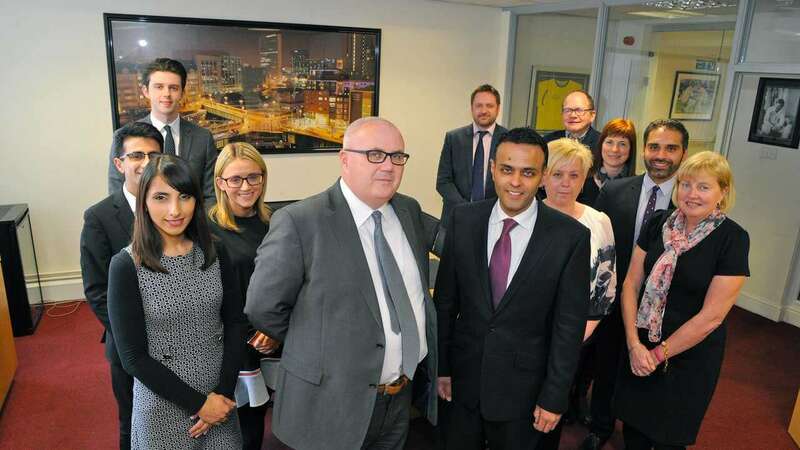 We aim to be the directors’ friend, solving the problems faced by our corporate and individual clients in these practice areas, using the combined expertise and experience within the Neil Davies & Partners team. If you or your business has a problem in our areas of specialism, please contact us or call 0121 200 7040 for a free initial discussion of your issue. We have a strong track record in delivering the results our clients need. Please take a look at some of our Testimonials and Case Studies. No case is too much for us to assist and the earlier you get in touch, the more we can do to help. (Disclaimer: The information contained in this website is provided for information purposes only, and should not be construed as legal advice on any matter. Click here for full regulatory information). Our director disqualification work covers advising on: Dealing with pre-action correspondence; Advising you as to the merits of the claim and your options; Defending director disqualification proceedings where appropriate; Negotiating settlement by undertakings; Attending meetings with you and your opponent; Applying to court obtain permission even if disqualified. Click here for more on how we can help solve your director disqualification problems, or contact us. Our insolvency and restructuring work covers advising on: whether you are satisfied with your current financiers; creditor pressure that your business may be facing; re-financing and restructuring your business; personal guarantee claims you may be facing; director disqualification problems; bad debts that you may be suffering; assessing why your business model may be failing; setting up a new business/buying and selling a business out of insolvency; security advice and claims by insolvency practitioners. Click here for more on how we can help solve your insolvency and restructuring problems, or contact us. Our insolvency litigation work covers advising on: Breach of Fiduciary Duties/Misfeasance Claims; Transactions at an Undervalue; Preferences; Validation Orders; Wrongful Trading; Bankruptcy Annulments; The Matrimonial Home; Illegal Dividends and Prohibited Name Issues. Click here for more on how we can help with your insolvency litigation problems, or contact us. Our commercial litigation and debt recovery work covers advising on: Urgent Court applications and injunctions; Partnership and Boardroom dispute resolutions concerning directors and shareholders’ rights; Winding-Up, Bankruptcy Petitions and Debt Recovery; Search and Seizure Orders; Breach of contract claims; Regulatory Raids; Interference with business claims. Click here for more on how we can help with your commercial litigation and debt recovery problems, or contact us. Our regulatory disputes work covers advising on: regulatory raids; regulatory interviews; financial crime; HM Revenue & Customs (‘HMRC’) claims; anti-money laundering; directors’ duties; company investigations; investigations by the Companies Investigation Branch; environment agency investigations; HSE investigations; Professional Conduct – Our Solicitor Services; Professional Conduct – Our Solicitors Expertise; VOSA and traffic commissions. Click here for more on how we can help with your regulatory disputes and problems, or contact us. Our construction industry disputes work covers advising on: The Housing Grants Construction and Regeneration Act 1996 and Insolvency Law; Novation of contracts by Insolvency Practitioners; Completion by Insolvency Practitioners; Advice on completing contracts where the employer has become insolvent; Advice on contractual and tortious liability of construction professionals under building and engineering contracts; Managing project difficulties caused by defects in design and budget overruns; Advice to contractors experiencing employer insolvency; Advising Liquidators and Administrators in promoting business rescue; Investigating the causes of insolvency and its effect on parties to a construction project; Advising on recovery strategies for and against contractors, subcontractors and construction professionals; Suspending works without terminating contracts; Suspending payments; Recovering payments and Seeking payment of final accounts. Click here for more on how we can help with your construction industry disputes and problems, or contact us. Are you being threatened with Director Disqualification or a Misfeasance Claim? We have a strong track record in successfully defending our clients in these areas of law. Click here to see 10 reasons why Directors and Shareholders should use Neil Davies & Partners to defend them against Director Disqualification and Misfeasance actions. Being threatened with Director Disqualification or facing an Insolvency Claim or a Misfeasance Claim are all serious problems that need the immediate attention of a solicitor that specialises in these areas of law. We can help. Our experienced solicitors can make a big difference. Click here to see 10 reasons why directors and shareholders should use us to defend them against director disqualification and misfeasance claims. We know what the Insolvency Service wants and we know what the best solutions for our clients are and how to achieve them when they are facing director disqualification. The key issue for a director facing a director disqualification problem is to act early, to maximise options. Click here to see our 5 Helpful Facts about Director Disqualification and how to deal with it. Often brought by Liquidators against directors, Misfeasance Claims usually involve an allegation of the misapplication of money or company property and, therefore, of directors breaching their fiduciary duties. We specialise in helping to defend directors against Misfeasance Claims. So, if you are a director and have received a Misfeasance Claim from a Liquidator, here are our 5 best tips to help you deal with such a claim.